Giora Weiss-Tzahor, 70, who headed operation to locate rogue nuke spy, died in a bicycle accident. Giora Weiss-Tzahor, who headed the Mossad operation that located nuclear spy Mordechai Vanunu so he could be brought to justice, was killed in a bicycle accident Monday. Tzahor, who was 70, was crossing a road between two agricultural fields on his mountain bicycle when he was hit by a truck. He was taken to Hillel Yafe Hospital in Hadera where efforts to save him failed. Israeli newspapers are not publishing his photograph even after his death. His funeral will take place at 7:00 p.m. Tuesday in Hadera Cemetery. Born in Europe in 1941, he visited Israel for the first time when he was 17. A year later he made aliyah on his own and served in the Armored Corps as an officer. He was seriously wounded during a battle near Shechem in the Six Day War and his doctors were convinced he would die. However, he recovered and received a Citation of Valor from then-Chief of Staff Yitzchak Rabin. According to Yediot Aharonot, Tzahor headed the operation that located rogue nuclear technician Mordechai Vanunu back to Israel after he had taken photographs inside the nuclear facility at Dimona and given them to the London Sunday Times, in 1986. 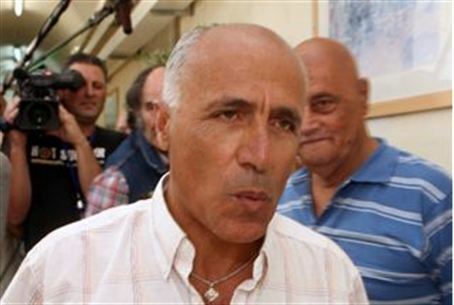 Another Mossad unit used a female agent to tempt Vanunu to travel to Italy, and it is believed that he was abducted from there and brought to Israel to stand trial. Tzahor co-founded and later headed the elite Kidon unit of the Mossad. According to foreign publications, Kidon specializes in assassinations outside of Israel.